‘I’ve got a USB why have more?’…. 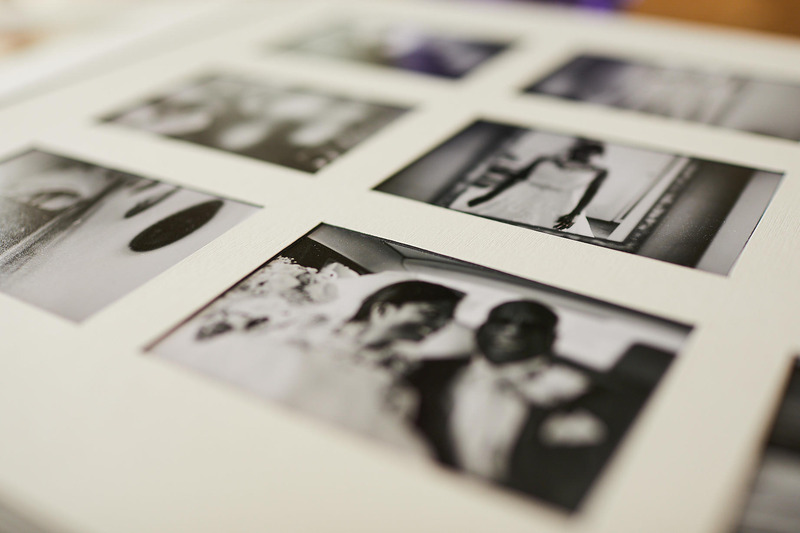 You started your journey into planning your wedding, and that led you to photography, which is obviously why you’re here. 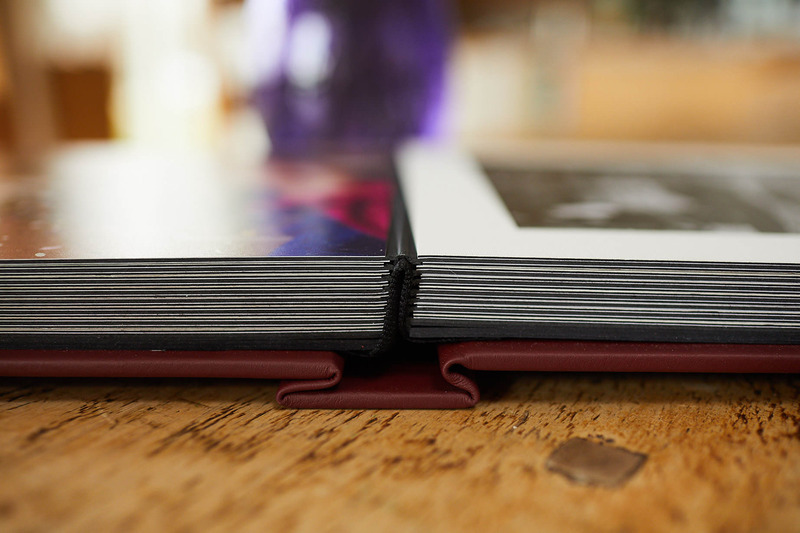 I like many other photographers offer a set of images on a USB drive, combined with a nice set of prints as well as an online gallery and slideshow. This for me is very important, as you’ve then future proofed your pictures. The problem is however that technology evolves at an alarming pace, it seems like barley a blink since we were giving clients a CD/DVD of their wedding pictures, and now as I sit at my computer writing this there isn’t even a slot to insert one. I wonder how long it will be before even USB slots are phased out? I use the very best suppliers to produce great products that will stand the test of time. An investment like this in my opinion shouldn’t be the cheapest option, but one that offers the best experience. 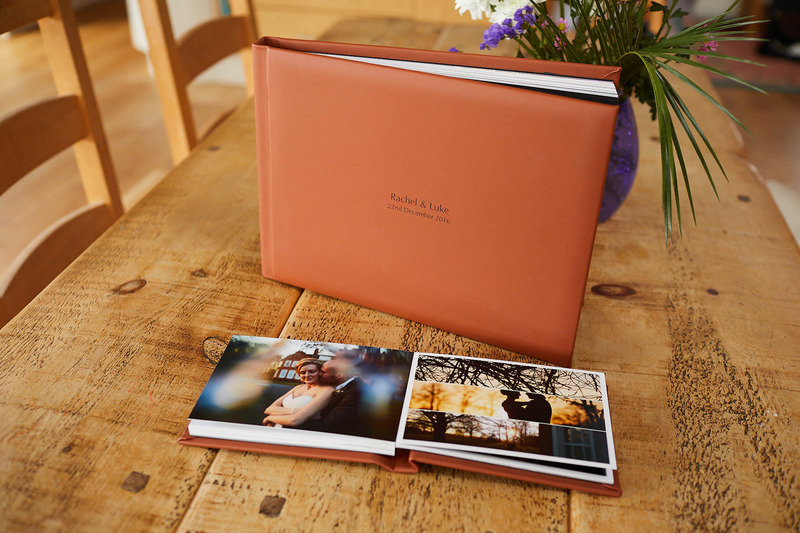 It should be personal to you, and so there are many choices to make for covers, colours, sizes and how you present them. 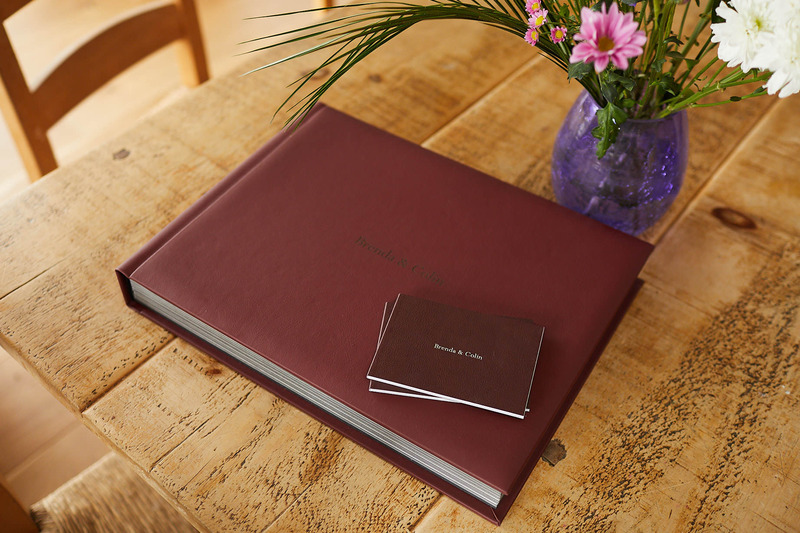 Whilst I offer a variety of packages you can customise them in a number of ways to make that final presentation your own. 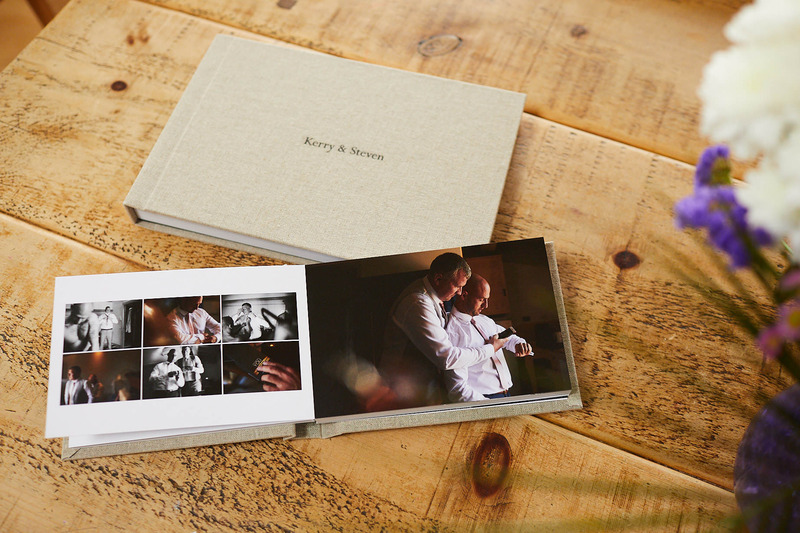 Below are a selection of product options to help you navigate the process of selecting an album for size and cover options as well as deciding on duplicate copies for parents and bridesmaids or ushers etc. Opt for impeccable quality, indulgence and enduring appeal that defines style with the luxurious Aperture Classic. With Leather, Hessian or Paisley cover options included, the Aperture Classic is the most prestigious of choices. 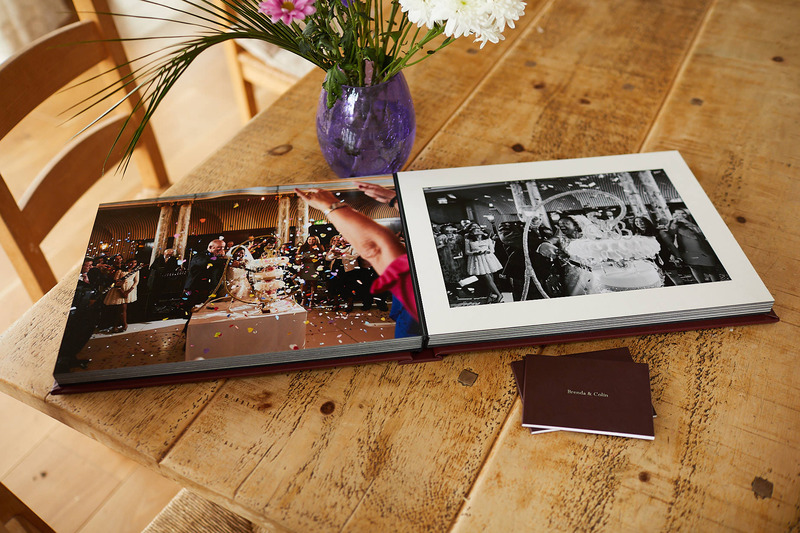 Pages consist of either a single image printed edge to edge and a variety of luxury card mount ‘apertures’ that frame the images to make the story of your wedding day a lasting heirloom. 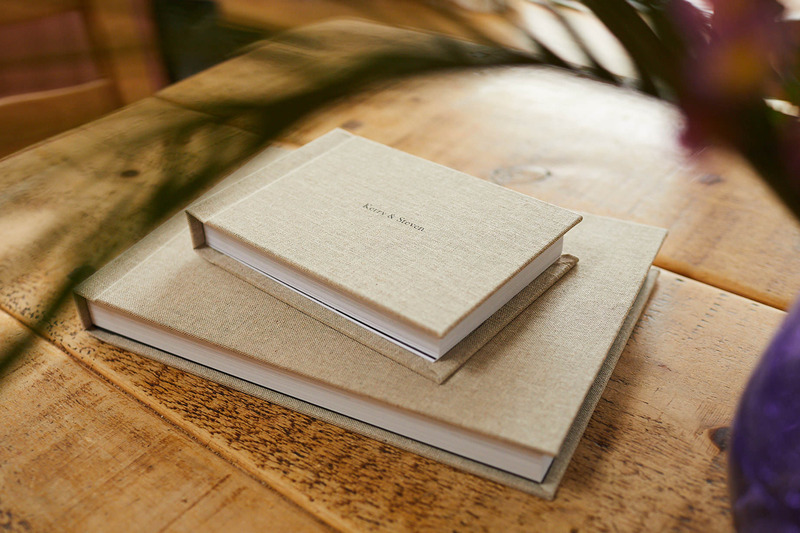 A modern take on classic album styles, Contemporary is available in a variety of finishes, linen and leather included. 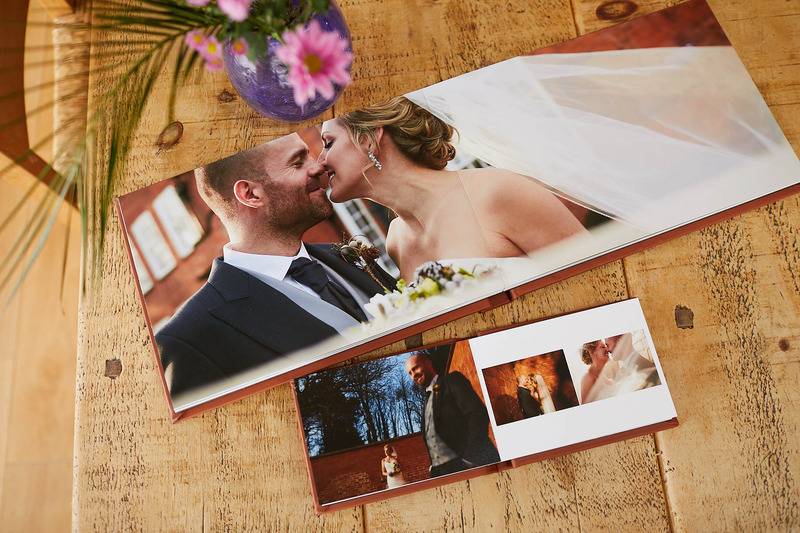 Printed on traditional photographic paper for the best quality in colour and detail the images are arranged in a multitude of totally versatile layouts, including full width double spreads.